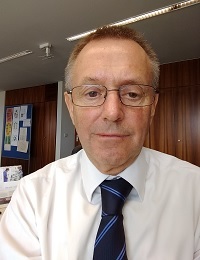 Peter joined the UNEVOC team in February 2018 after retiring from the ETF. During his time at the ETF he had different responsibilities including the development of the ETF national Observatory network, the launch of the Torino Process, coordination of ETF operations and leadership for the ETF corporate performance including cooperation with the ETF’s strategic partnerships with international organisations including UNESCO. Peter will focus his contribution on strengthening the UNEVOC network collaboration and partnerships, in particular in the European region, as well as on developing UNEVOC’s thematic knowledge resources, particularly in the fields of youth employment and entrepreneurship and facilitating the transition to green economies and sustainable societies.